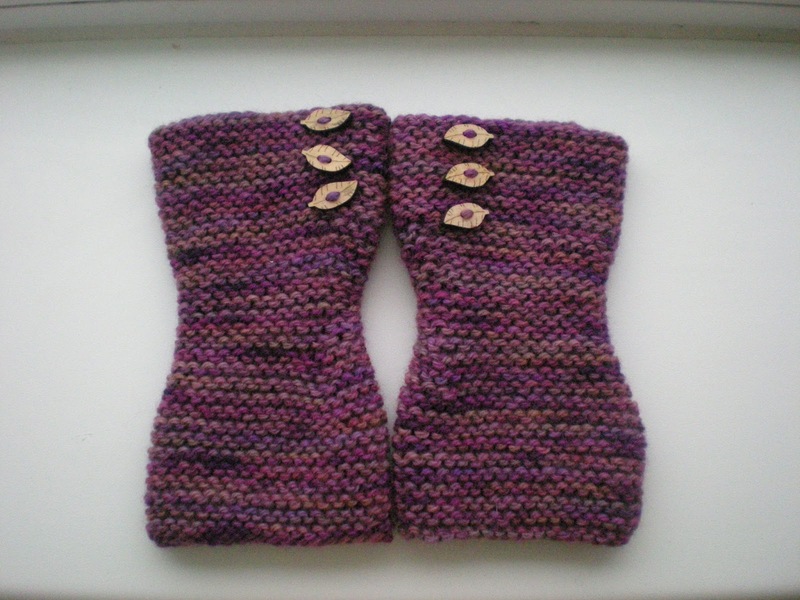 My swap partner likes purple and wristwarmers so these should be just right for her. I'm supposed to be the March Hare, so a yarn in the colourway Jam Session seemed perfect for someone who is at a perpetual tea party. The little leaf buttons from my Crafty Creatives box seemed perfect to finish them off, straight from a woodland scene. 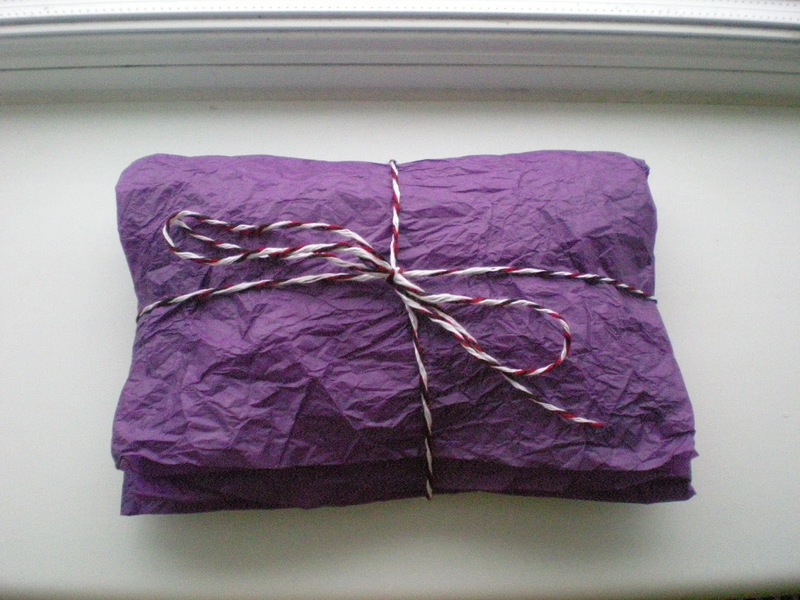 I've ordered a few more items for the swap over the weekend, one of which is some purple yarn called March Hare, I couldn't get better than that for the box. I love doing swaps and finding the right things for people. Sometimes its quite difficult, I've seen people who have not given much information and say they are happy with anything go off and complain in other groups that what they received wasn't good enough. 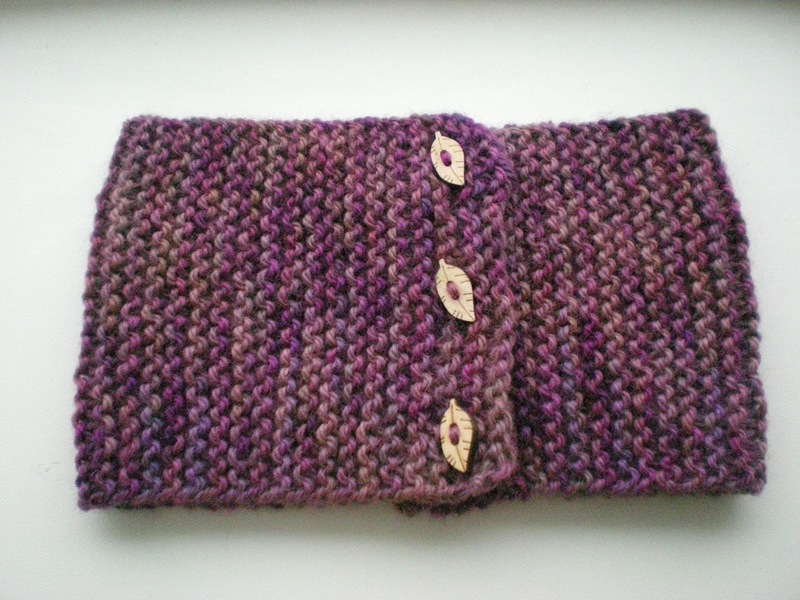 Its hard for knitters of different ability and experience to swap unless everyone accepts that a handmade item is always going to have had a certain amount of time, effort and care put into it and so even if the knitting isn't as good as your own, its still something someone has worked hard over. 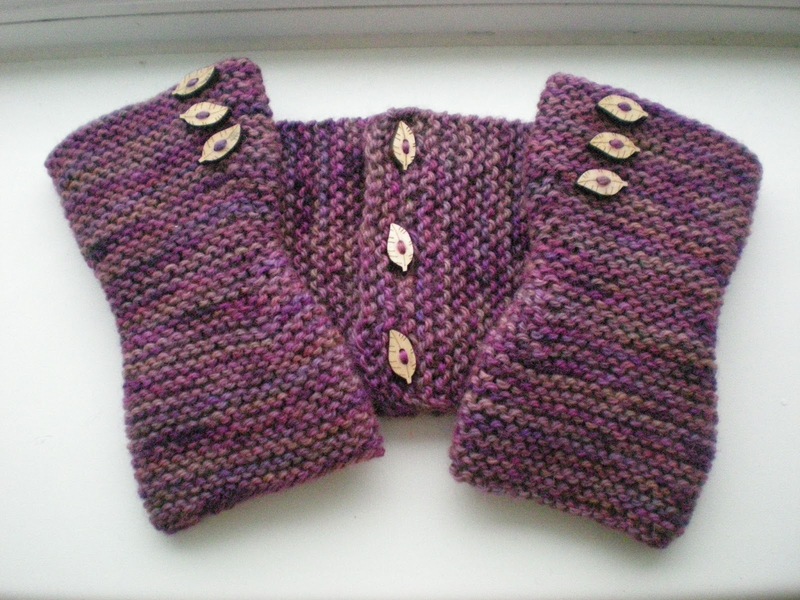 My knitting is certainly not as good as some of the things I've seen people knit on Ravelry, but, as I am not a quick knitter, I would hope that anyone receiving a hand knit off me would realise its taken me a lot of time and effort to make. Sadly that's not always been the case but hopefully this time my swap partner will appreciate and love the things I have made her.